i) Name 4 of the Manchester United legendary players. ii) Name the founder of Smirnoff Vodka, and the country Smirnoff originates. 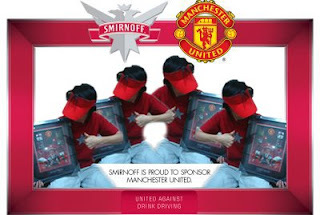 Smirnoff is the official Spirits Sponsor and Official Responsible Drinking Partner of Manchester United. i) What is the latest Smirnoff’s Limited Edition bottle called? Take a bow, even if Cristiano to the Bernebeu, forever remain the best player in the world!